SafeAuto’s “Do The Jingle” contest is nearing its conclusion. After accumulating a record number of votes (quickly approaching two million) the competition is extremely tight heading into the stretch. You can still vote for your jingle until February 29, 2012 at 11:59:59 PM EST at http://www.dothejingle.com. Remember, the top five finalists will receive cash prizes while places six through ten will receive a roadside assistance kit. 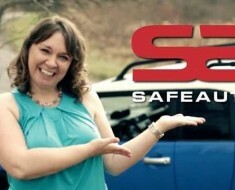 Of course, the first place winner will obtain a featured role in a SafeAuto Insurance commercial! Additionally, SafeAuto is giving away an iPad2 on our Facebook page! Click Here To Win an iPad! You have less than 48 hours to catapult your jingle to the top of the competition! Have your friends, family and social networks continue to vote for your jingle. Let them see your talent and creativity before the competition ends. Want a Chance To Win a Free Trip to Vegas? Just Like Us on Facebook! The End of the Hybrid?